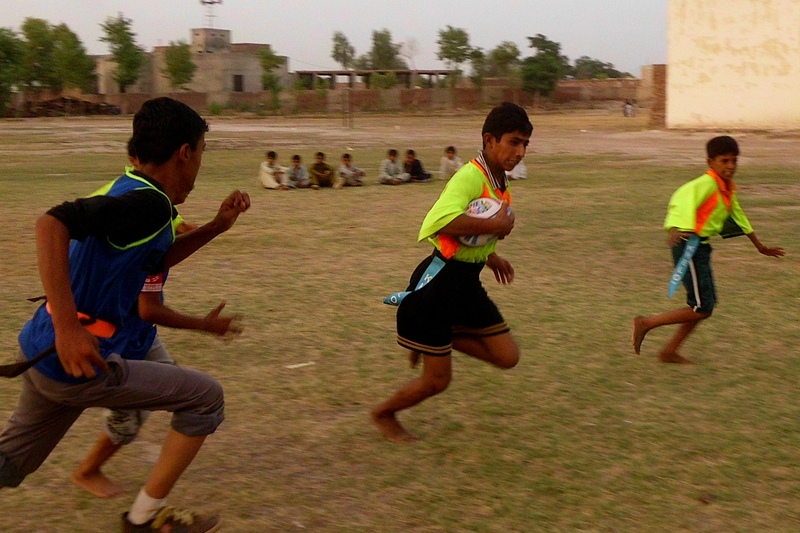 Pakistan is a journey we’ve been working on for some time now, to take our rugby passion to a whole new set of young people. To children who are so close to us in India (and me at the moment in Afghanistan) yet at the same time a long way away. 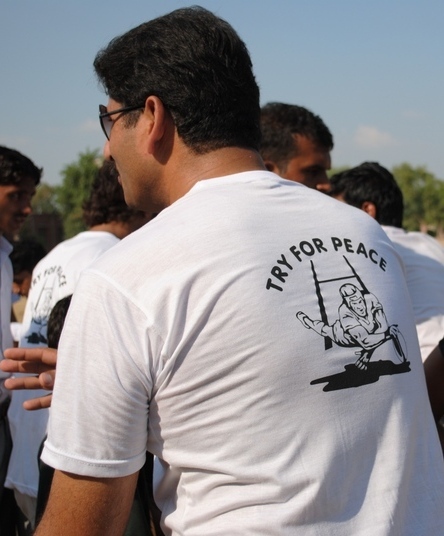 We’ve been lucky that making this latest Khelo Rugby journey possible has been terrific guide and mentor Muzammal Khan Wazeeri who has brought us to the Cholistan Desert of Pakistan. Where the temperature can rise beyond 50 degrees centigrade, but Wazeeri and his gang of rugby loving ruggers are never phased by that. Wazeeri has been such a inspiration with his work…with the desert heat and the grueling holy month of Ramadan he made sure what he promised the children happened. 80 children were bought from different parts of his community some up to 40 km away. 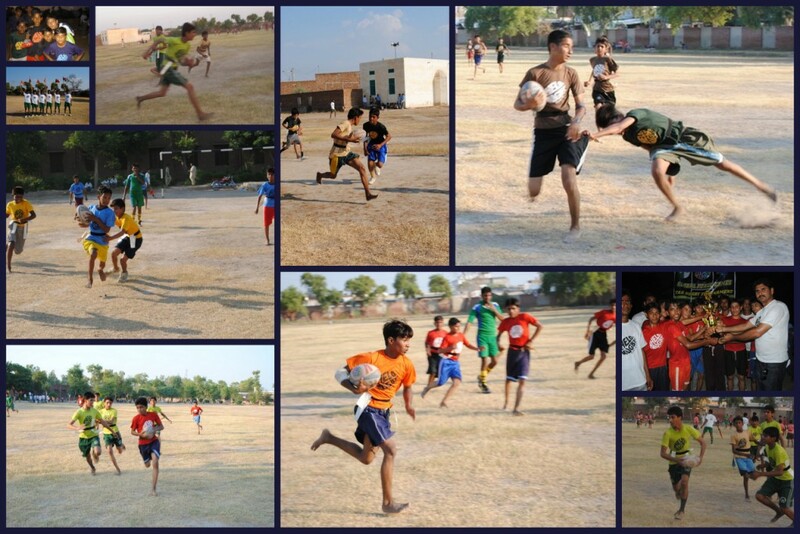 They all came together and participated in a Khelo Rugby tournament, what he described as a “very small tournament”, we say “great great effort”. 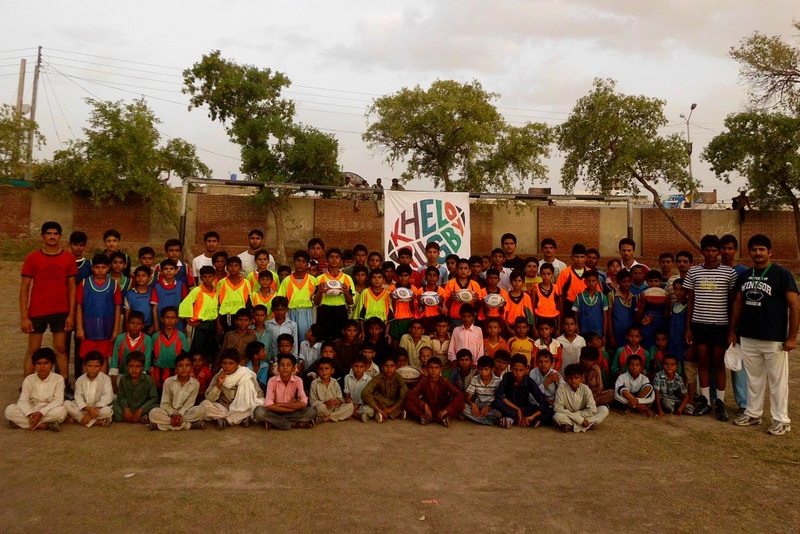 Eight schools from his community are now participating in Khelo and his current mission is to get the girls to play – which he says is his dream and challenge. Here I talked with Wazeeri and asked him a few questions about his involvement and journey so far with the Khelo Rugby Family. Q: Tell us something about Rugby in your community? Wazeeri : Bismillahir Rahmanir Rahim (In the name of Allah, the most Beneficent, the most Merciful), Alhamdulillah things have been very good in Cholistan and we are doing our best to promote rugby here with the help of Pakistan Rugby. 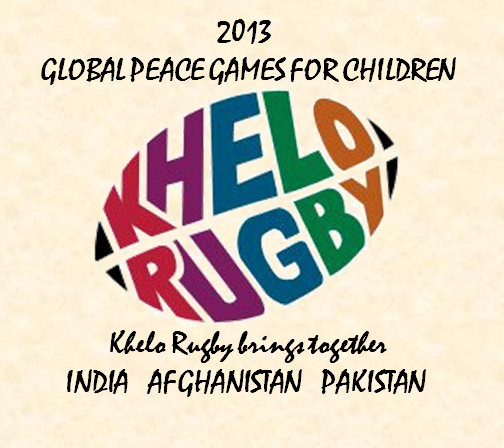 And now with the involvement of Khelo Rugby it has given us the perfect platform for grass roots rugby. I come from the Pakistan State of Punjab and the town of Fort Abbas and that’s where I formed my Desert Camel team years back now. Masha’Allah we have older boys in our club but we always missed not having a youth or a junior team, some years back I did start a team but due to lack of planning and guidance it did not really work out. 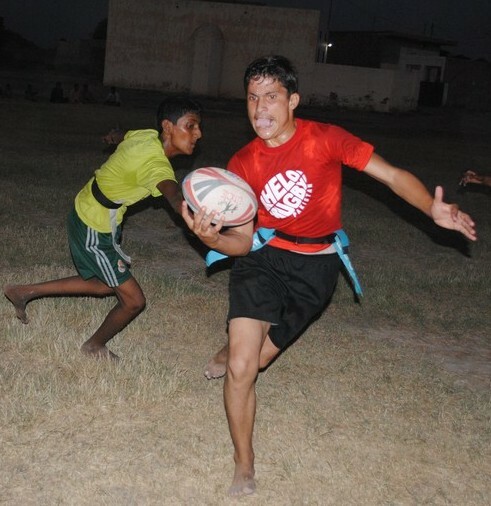 Then one day I came across Khelo Rugby on Facebook and since I knew Zaffar I asked if we could start a project in my community to see how it could help with the children and especially I liked the idea of the small children playing rugby. 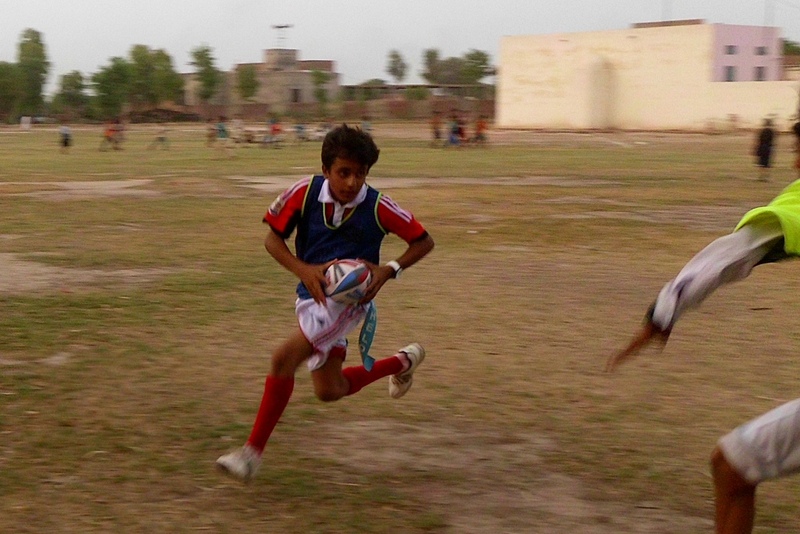 Q: How do you think Khelo Will help grow Rugby and the Community in Cholistan? This is something very important happened to me and my club Desert Camels. We have always had a team were big boys would come and join and never a opportunity for smaller children to come learn or play. Since Khelo has started to support us we have had such a impact on the participation level and also on the audience level. Parents do not see rugby now as a violent game after the introduction of tag rugby with the children. We have had a change of view from many of the families in the area. Q: Do you think that is a big change? Yes of course it has been such a huge change, I believe that Khelo make such a difference to these children’s life….I will explain. 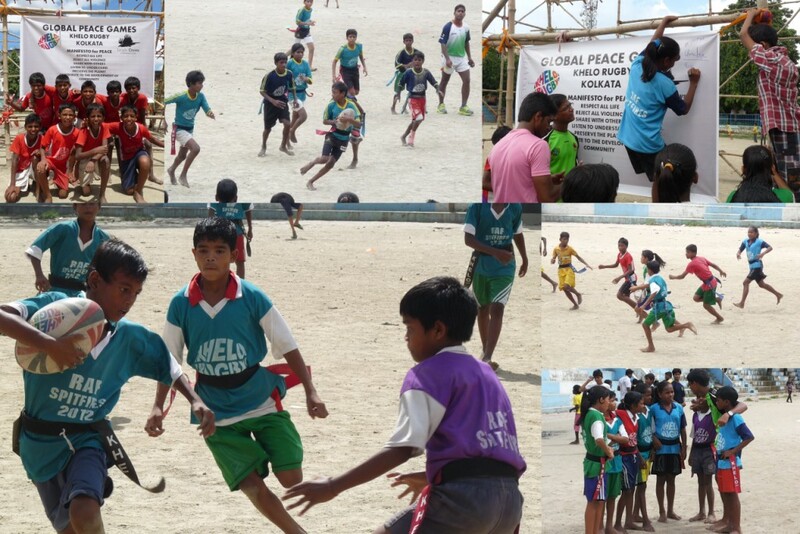 We have children who are 12, 13, 14 younger and above….who literally do not have anything to do as far as organised fun or sport and Khelo now brings that into their life and into communities that I have been trying to reach. It’s simple but really effective for me and the children. Q: I know it’s very early but how do you think the project can be helpful to the community in the near future? Yes it’s early to say what and how the community will benefit from it on a long term, I mean on a short terms yes we can see the results – lots of children playing and really enjoying. But I think Khelo is a very powerful tool to work with, it cannot be just seen as a sport but what we can do with it is something I am excited about. My area and the areas around have lot of cultural and social issues involving children and Khelo creates a great platform to speak and discuss with them and also elder boys and how these can be resolved or at least bought into context. Like for example recently we did a very simple session with the children on how we can keep our grounds clean, and we decided once training was over, each child who came to the session was asked to pick up at least four plastic bags of the ground before leaving, we had 20 kids so that meant a lot of bags were cleared. People just dump things on the ground because there is no fencing to it…so we are trying to work on little things…and see where we can go with it. Q: Do you personally feel that the change you want to bring will be possible? Hmmmmm… it won’t be easy…you are talking about peoples habits and social nature, which has been here for years now and it cannot be changed immediately. But what Khelo does again is bring children together and it can create a platform where they can learn and talk about things. And to be good at their sport they need to be healthy and well – just that is very important. And there you go you have a young, I mean very young generation in front of you, who are all eager to learn and hear, the rest is up to us to guide and support them. I know support is very important in rugby and in life growing up. Q: Last question… and it’s a tough and very big question…do you think this could be a catalyst between our two nations for a bit of peace? Well the government is trying…but I think we also have the responsibility to make an effort. With Khelo the children have something very simple yet powerful in common, I know the children from Pakistan and India can be a way ahead, friendship between the children from both the nations will always bring better understanding. 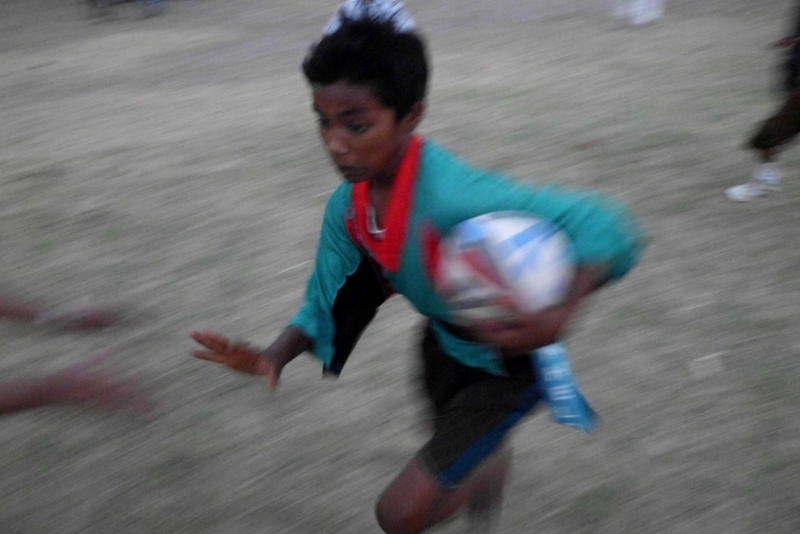 I hope we can one day come to India to play the Khelo India children, but they won’t be India or Pakistan children they’ll be Khelo children, Rugby children. I am sure it will be great. Thanks Wazeeri bhai for your time…I hope together we all get where you dream of…Inshallah.